On May 4, 2017, the Mesabi Community Band played a special commemorative concert in the main hall of the Eveleth City Auditorium. It was the first major event in decades at that historic building. The concert celebrated the formation of the former Eveleth Municipal Band in 1917, along with the music of Major Ed Chenette, a renowned American band leader who once led the Eveleth municipal and high school bands. There were also special performances by students of Downtown Dance Academy and Northern Twistars Gymnastics. The band performed a variety of popular music from the early 20th century. The Eveleth Heritage Committee and the Iron Range Historical Society helped organize the event and presented historical displays about Major Chenette, Eveleth bands, and the Auditorium. The band was directed by Paul Helfter and featured guest conductor Stephen Chenette. Chenette, an internationally recognized trumpet player, conducted some of this father's compositions. Bill Lavato, former Eveleth City Band member and Eveleth High band director, was a trumpet soloist and conducted "Eveleth Loyalty," the school song. (The audience rose to their feet and clapped along.) 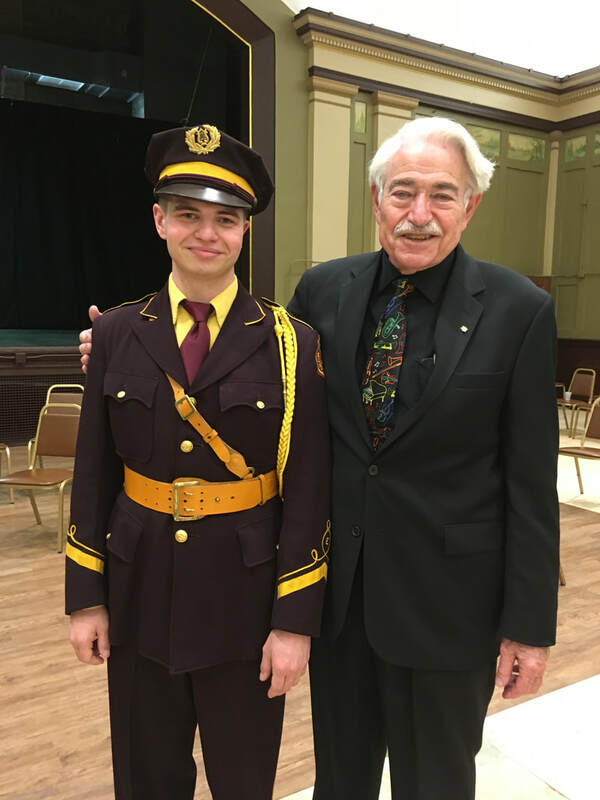 Heritage Committee member Tucker Nelson wore an Eveleth Municipal Band uniform from 1947 as the concert's master of ceremonies.